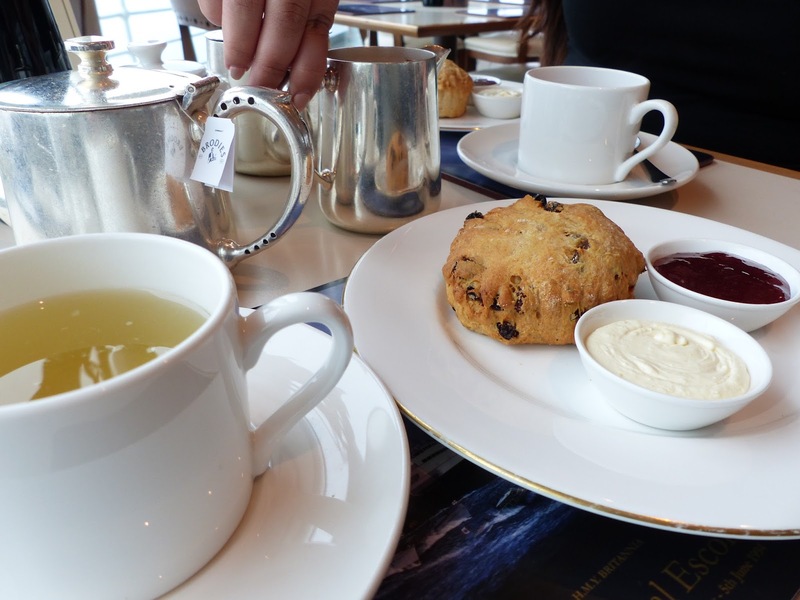 Having had our whole trip to Edinburgh planned in terms of what we were doing, I had been given a voucher for scones and tea in the Royal Yacht Britannia’s Royal Deck Tea Room. But of course we couldn’t come and only have that, so treated ourselves to soup and sandwiches, all of which were delicious. We were seated right by the window, and although it was a seriously misty day and we couldn’t see far, it did clear up towards the end. All of the staff were very welcoming and friendly throughout, in fact faultless. Much like every other aspect of our meal here. The soup of the day was carrot and coriander, which was beautifully smooth, tasty, and piping hot – perfect. The smoked salmon sandwiches were divine and so fresh, but perhaps the best part of my platter were the smoked paprika potato wedges. So crispy on the outside, soft on the inside, a little spicy and perfectly complimented by the garlic mayonnaise. There’s nothing more that I love than some good quality wedges or thick cut chips! On to our complimentary tea and scones, and it was a fantastic end to what turned from being a light bite, to very filling lunch. Both the fruit and plain scone were soft but yet held together from the jam and cream. 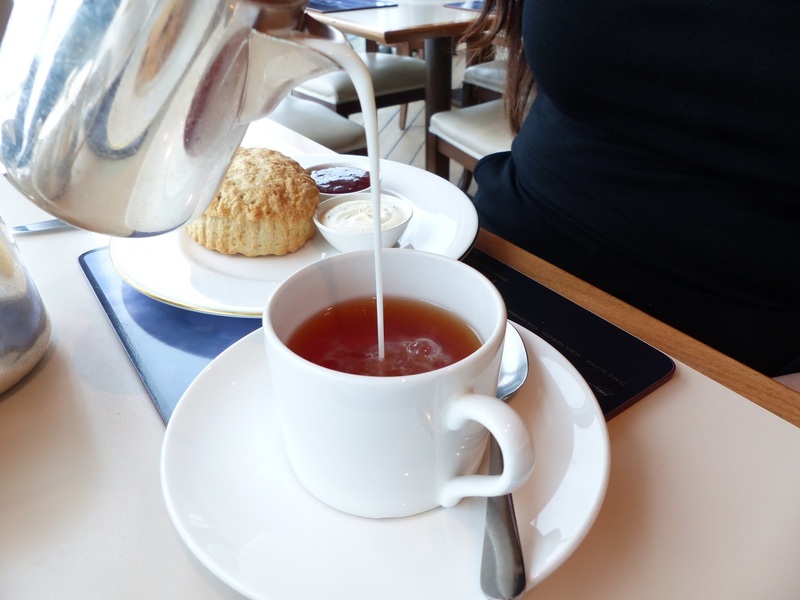 Jessica opted for the famous Edinburgh tea, because it didn’t feel right to not give it a go, and I had a strange feeling to have a green tea. Again, the presentation and taste was impeccable. 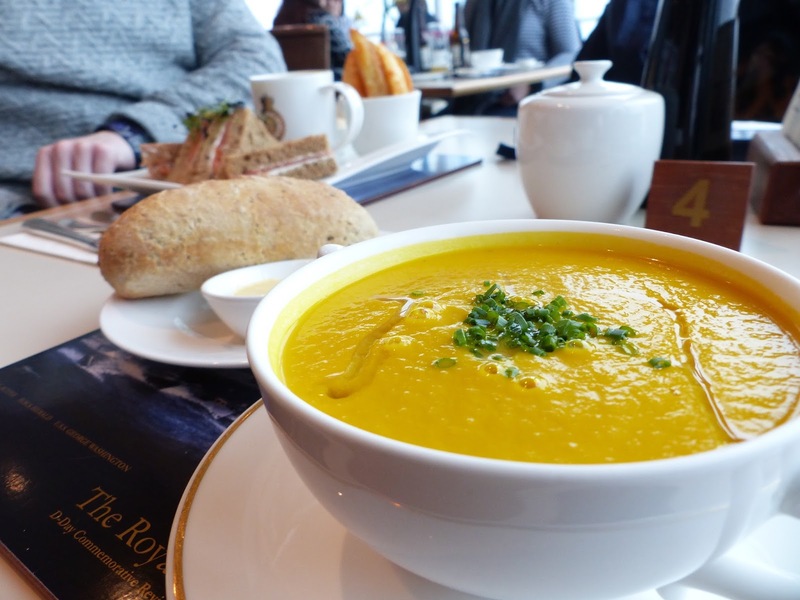 If you wish to have a read about the rest of our visit to the Royal Yacht Britannia, you can head over to our travel blog here, and you can find your way around everything else we got up to there too. 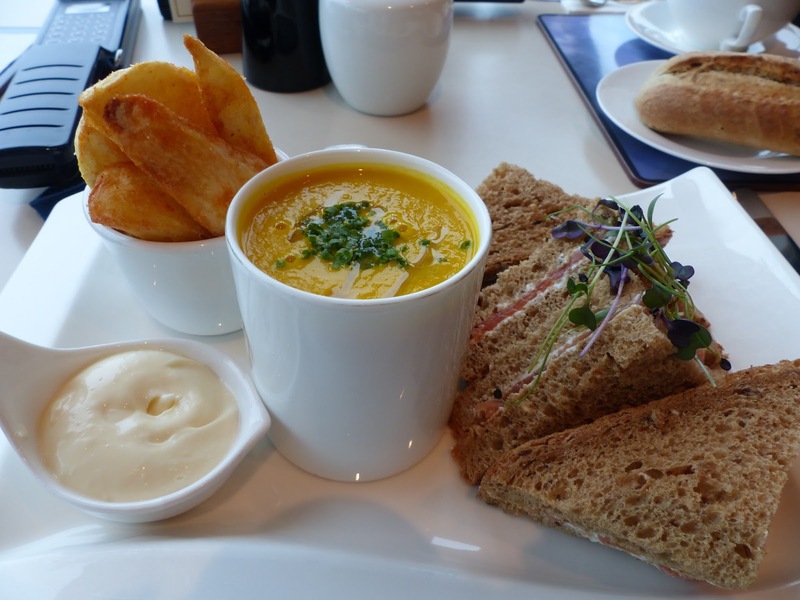 If you do ever find yourself in Edinburgh and aboard the Royal Yacht, make sure you stop for lunch. It’s simply great. omg I just love afternoon tea and this is a really unique way of doing it with the wedges too and soup!!! It looks deliscious and so cool that they have famous Edinburgh tea!! !